Just as the geological model predicted, Mining Projects Group (ASX:MPJ)’s recent drill results are expanding the potential for a major nickel discovery in WA. Expert nickel geologist Neil Hutchison is justifiably excited with the results and has re-defined and expanded the next stage of the drilling programme. This complements the high grade hit of 4.3m @ 0.53% nickel including 0.2m @ 2.66% nickel struck on the first hole. This news is not overly surprising given the quality of the Roe Hills ground, and MPJ’s nickel exploration team that is unheard of for a company of its size. 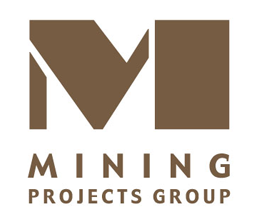 MPJ’s Exploration “Dream Team” includes Neil Hutchison – involved in the nickel discoveries for Poseidon and Jubilee Mines at the Windarra and Cosmos Projects, as well as Newexco, the team that discovered Nova and Bollinger. The MPJ team continues to achieve positive results using their decades of experience and expertise gained from their involvement in these discoveries. Add the fact they are all taking MPJ shares in exchange for their nickel nous... and you have an entire family of ducks lined up. MPJ’s drilling team have now moved over to target “Roe 1” – 4 diamond drill holes, totalling 1,800m, will be sunk here with the aim of intersecting the interpreted lava system and bring this target up to the extent of knowledge MPJ now have of the Talc Lake target. Whilst the Roe Hills Project is the subject of the current drilling campaign (with a priority on the Talc Lake and Roe 1 targets), MPJ has even more high potential ground to its name. 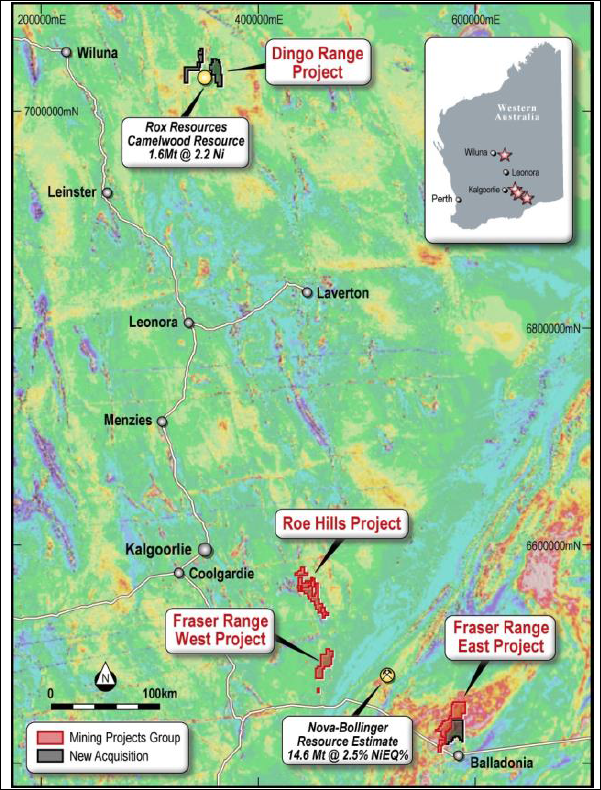 Within the Fraser Range, Sirius’ Nova-Bollinger deposits are surrounded to the east, west and northwest by ground held by little old MPJ. Then in at Dingo Range, MPJ holds ground flanking both sides of Rox Resource’s emerging nickel deposits at Musket, Cannonball and Camelwood. MPJ have almost completed the current drilling phase at Roe Hills – the geology is becoming clearer and clearer, and follow up drilling will be focussed on strategic targets. 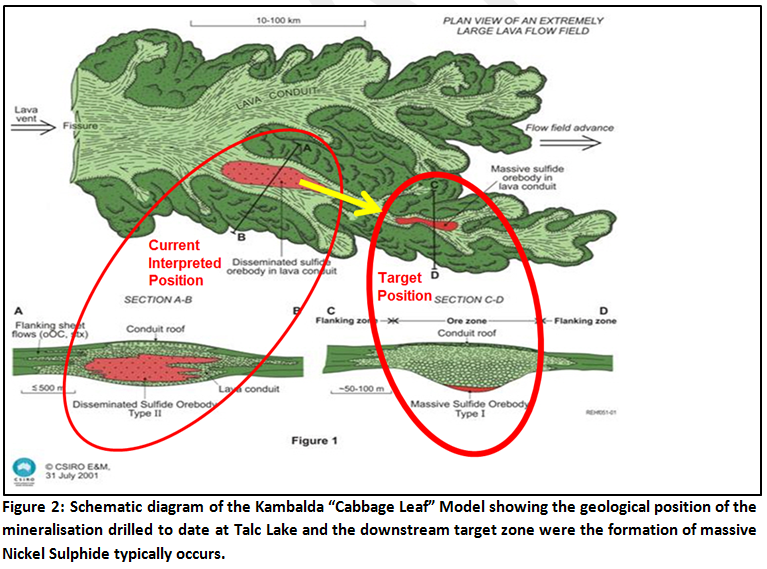 The latest modelling work of how nickel deposits are formed was applied to MPJ’s ground, with the “Cabbage Leaf” model given an indication of what to look out for. 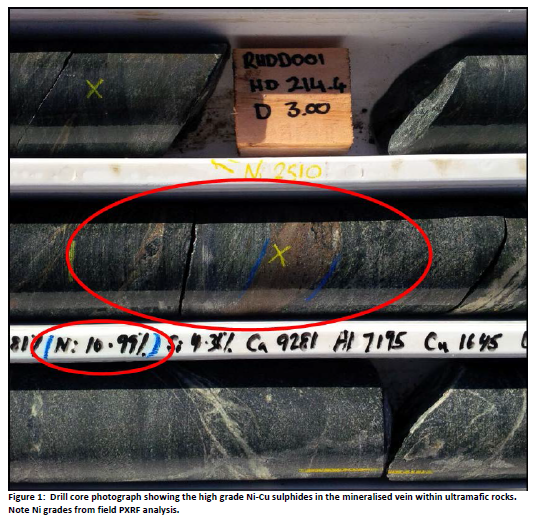 Formed in hot lava channels, sulphide blebs drop out of the channel and accumulate – it’s these spots that may hold the key to any nickel discovery on MPJ’s ground. This proven model has been responsible for numerous discoveries over the last 15 years by MPJ’s technical team. These cabbage leaf hot spots are actually located all the way up MPJ’s portion of the prospective nickel belt – methodical exploration should indicate where nickel deposits might have formed. Since the Next Small Cap article on Core Exploration (ASX:CXO), BHP Circling... Micro Cap Neighbour to Drill Mammoth Targets , CXO has been up as high as 140%. 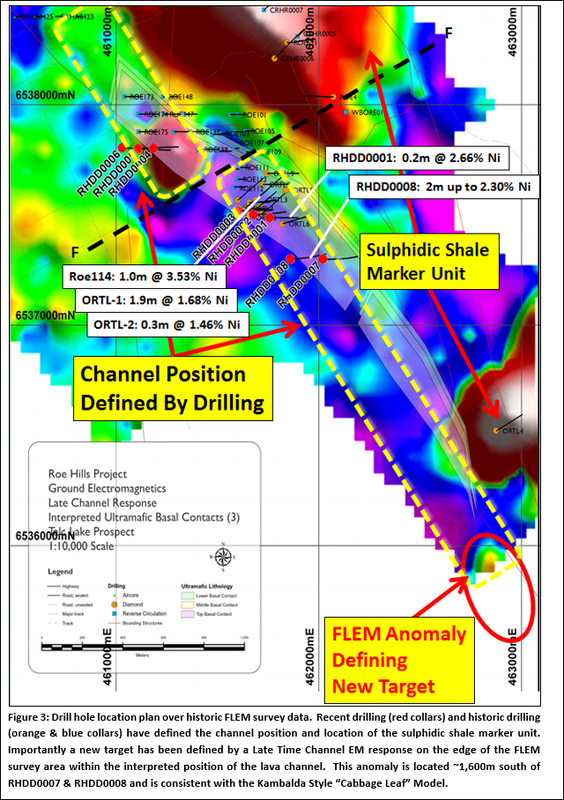 An old Fixed Loop Electromagnetic survey indicated an anomaly to the south east edge of the survey, however it was previously disregarded as a larger anomaly nearby turned out to be a sulphidic shale hosted conductor. Neil Hutchison and Newexco have a new nickel lead here – and will be plotting a more detailed High Powered Electromagnetic (EM) survey over the lava channel area shortly, fully defining what hasn’t been surveyed to the south east. The assays show 4.3 metres at 0.53% nickel from 211.1 metres, including 0.2 metres at 2.66% nickel, as well as 1.9 metres at 1.65% nickel. This result indicates remobilised sulphides from a nearby, primary source. So MPJ is firmly on the right trail... and that nearby primary source could be very large. Back calculations of the XRF results show the 10% to 12.6% nickel recently reported underplayed the true grades. Turns out they were actually around 17.7% and are now more significant than previously thought. 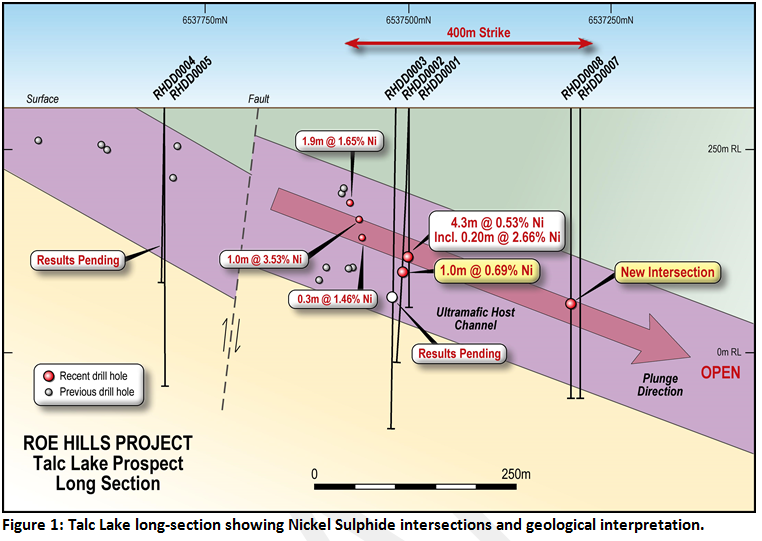 The mineralisation is associated with disseminated nickel sulphides... yet another encouraging sign. As we indicated above, this defines the core of the lava channel system and therefore the sulphides are from a local primary source. 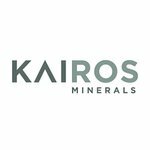 To date, 8 diamond drill holes have been completed totalling 2,888 metres, marking the successful completion of the planed definition stage. Downhole electromagnetic surveys are still to be conducted on RHDH0007 and RHDH008 to confirm the next strategic targets. This is a crucial stage and will also MPJ to gain a much deeper understanding of the potential of the ground. 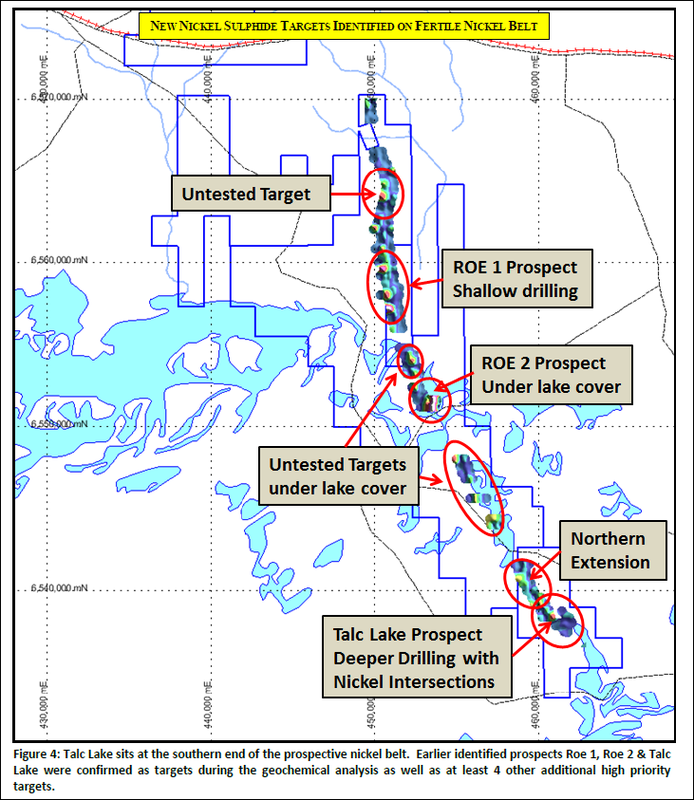 Attention for the drilling team now moves to the Roe 1 target, and bring MPJ’s understanding of this target in line with the Talc Lake target. Drilling is underway right now at the Roe 1 target – MPJ’s northernmost prospect at the Roe Hills Project. 4 diamond holes totalling 1,200m are planned with the aim of intersecting the interpreted lava system there too. 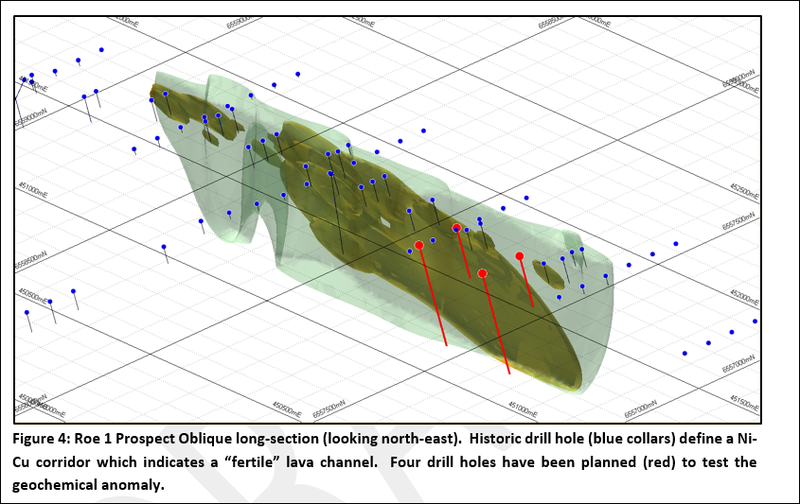 Down hole electromagnetics are planned here also, to test target areas for nickel sulphide mineralisation. The geology seen to date at Talc Lake appears very similar to large nearby nickel sulphide deposits such as Cerberus and Camelwood. These deposits were all identified over a period of time by following narrow nickel sulphide leads to the core of the lava channel. Once the channel core is located, a large nickel discovery could follow. Downhole EM survey results should be out soon, this should give a better indication as to where the high grade nickel might be sitting. Follow up drilling will start to pinpoint specific targets and hopefully the exact locations of accumulations of massive nickel sulphides.